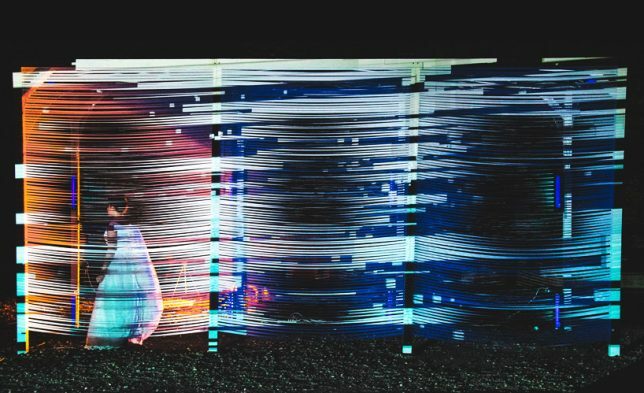 Few art experiences short of virtual reality are quite as immersive as entering a tunnel, literally surrounding yourself with an artist’s vision, blocking out nearly all sensory input not related to the installation. 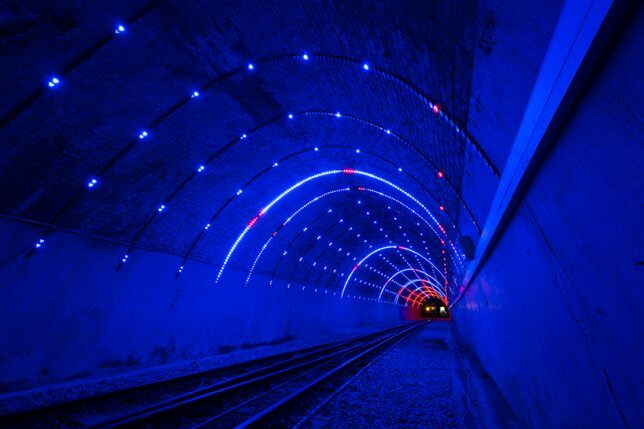 You’re temporarily transported to a dimension that’s not quite real, often unsure where the tunnel might take you. 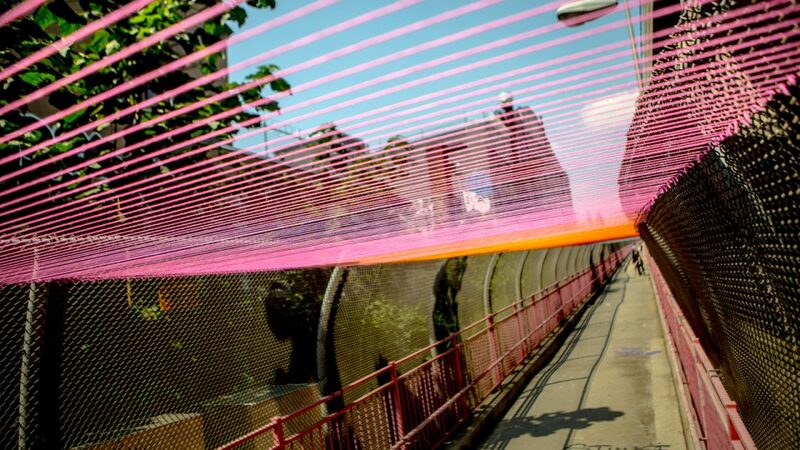 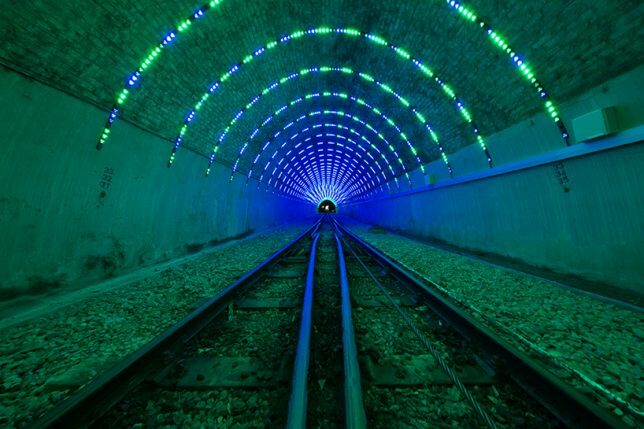 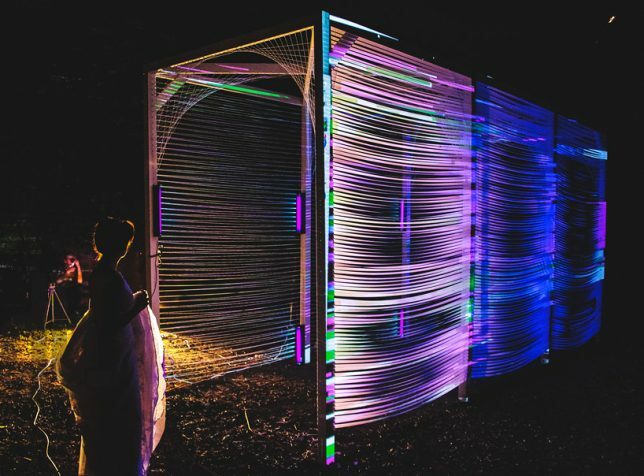 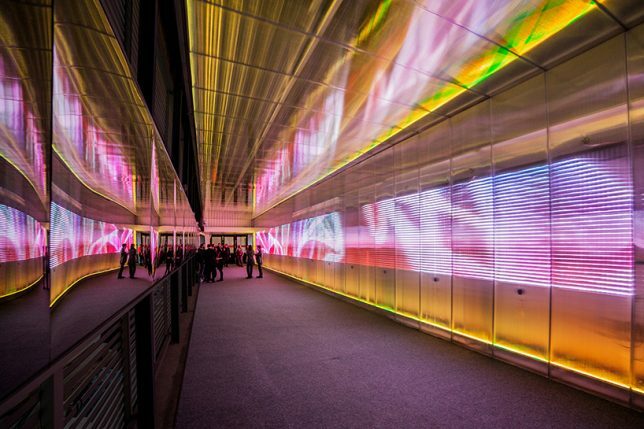 These 15 tunnel-based art installations offer explorable landscapes, inviting you to walk or even crawl through structures made of light, yarn, tape, salvaged wood and textiles. 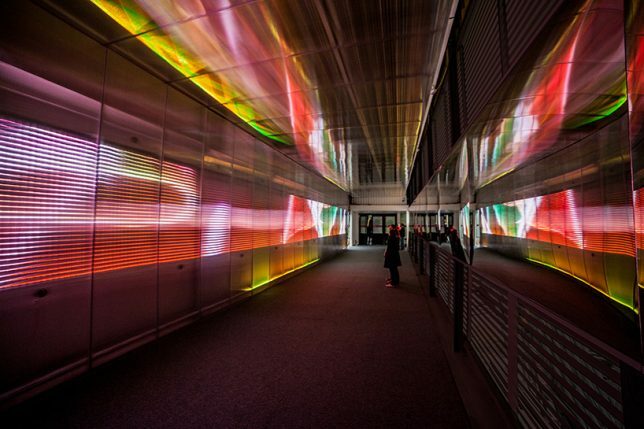 French artist Miguel Chevalier created a temporary tunnel connecting the Forum des Halles and the Place Carée in Paris, with shimmering, multicolored scenes moving in synch with a wave pattern of sound, giving commuters an otherworldly experience as they walked along the transit route. 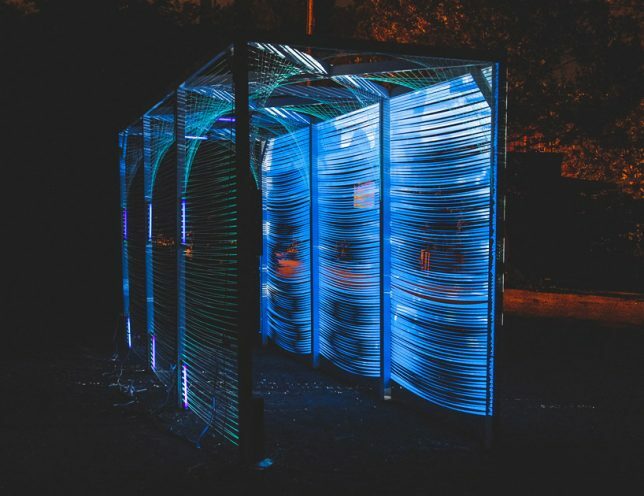 Placed in the grass outside Atlanta’s Hambidge Center of Creative Arts and Sciences, ‘Terminus’ by Megan Mosholder offers a visual representation of the city’s potential if only they solved their transportation problems. 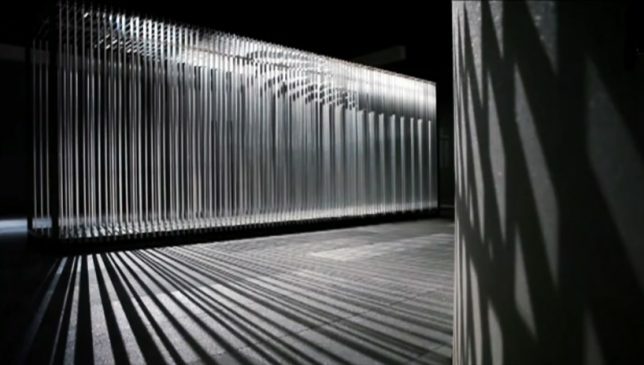 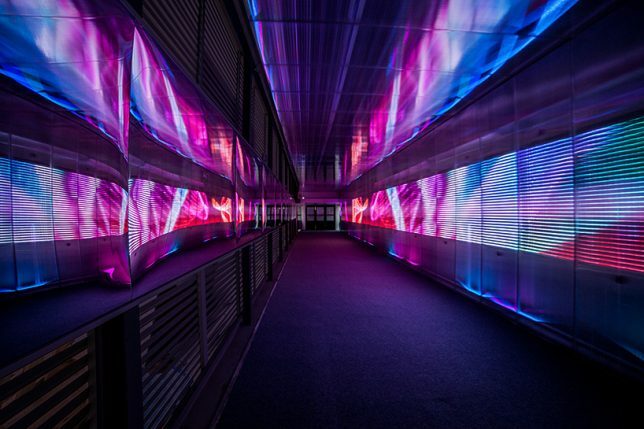 The installation consists of ribbons strung along a frame, and light projected onto them to resemble a blurred train passing through a station at night. 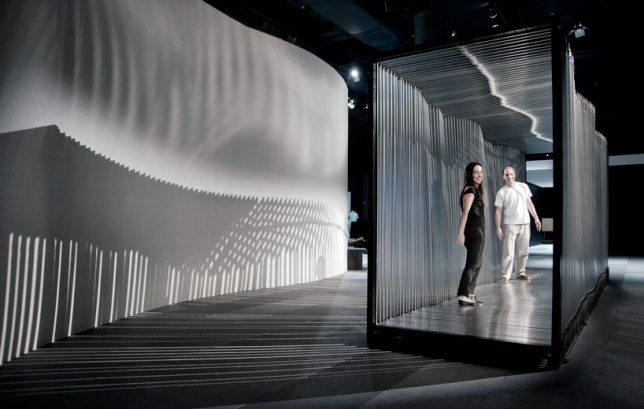 Any visitor stepping inside this interactive kinetic sculpture by Brazilian artistic duo Cantoni-Crescenti watched the architecture of the tunnel shift and transform in response to their own body weight and movement. 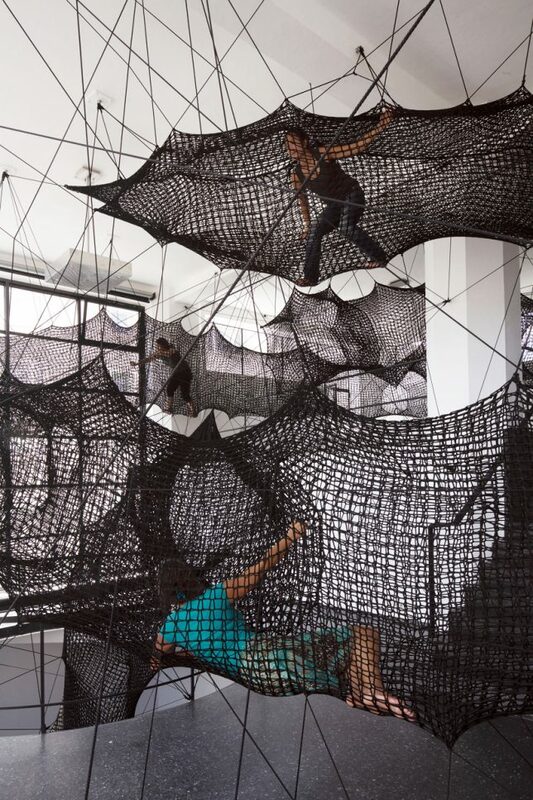 92 metal frames are individually controlled by a series of springs and cables, linked in a chain, so that your weight might cause the floor to incline or a section of the walls to rotate toward you. 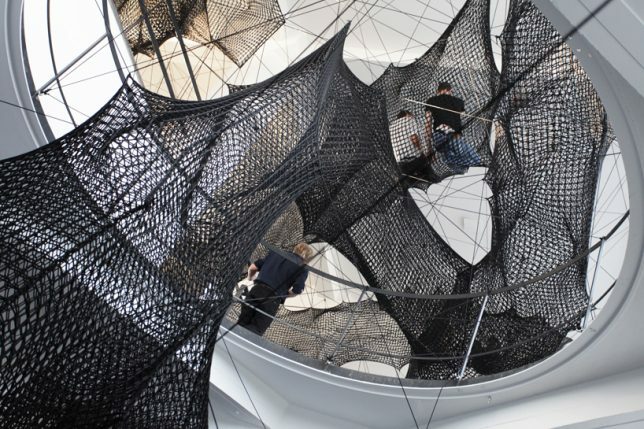 Crawl around in a series of net tubes suspended high up off a gallery floor at this installation by Croatian-Austrian design collective Numen/For Use. 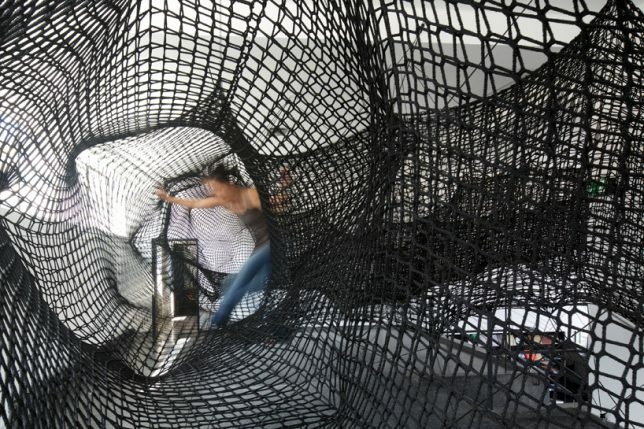 ‘Tube’ is a maze of rope tunnels that mostly lead to dead ends, snaking up through an atrium and into the second level of Austria’s Architekturforum Tirol gallery.